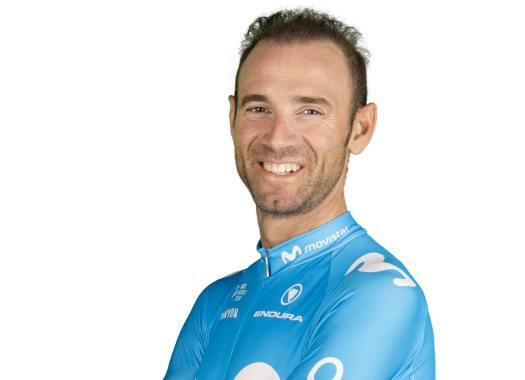 Alejandro Valverde (Movistar) faces the first rest day of the Vuelta a España with satisfaction after sitting in the second position of the General Classification and winning two stages. The Spaniard thinks it has been a good first week for him and the team. "The assessment of the week can't be better," he commented to Spanish news agency EFE. "It has been very good for me personally and also for the team with two stage victories, as well as having two riders in the second and third place of the General Classification. I sit at one second from the leader and Nairo (Quintana) is at 14 seconds. "The mountains have already started and we can see that Nairo feels very good and I also feel very good." Valverde finished the ninth stage in the second position of the General Classification, at one second from Adam Yates. "It made me quite angry that I couldn't wear the Red Jersey for one second," the rider confessed. "I would have liked to wear it, but like this, I take a bit of pressure off me. The good week of Valverde in the Spanish grand tour hasn't made him forget about another of his season's goals: the World Championships of Innsbruck. "I have taken two victories at the Vuelta and I am in the second position of the General Classification. We have already reached the objectives. I always think about the World Championships but in the Vuelta, I'm not going to waste any chances. The World Championships suits me well. If I perform also here I don't think will affect my performance at that competition."